Masks…masks… masks. They are certainly a hot topic and for good reason! I love using a mask because of both the instant rejuvenating effects you receive from them – and also because I see it as a way of giving myself a little self-care. Particularly during those busy times, or when I feel like I’m not taking care of myself as much as I should. Taking that time to apply the mask and letting it sink into the skin gives me that time back to myself. You can also leave the masks on for an extra boost! Here are a few masks that have been consistent favourites of mine. They really are spa’s in a jar… or tube, but you get what I mean! Don’t you just love quick fix beauty and skin care treatments? Especially for those times when you’re busy, maybe lacking sleep… a bit stressed and maybe a little bit under the weather. When you’re in need a quick skin boost. Well, I certainly do and recently we’ve had so many amazing skin care treatments that do just that. Ones that give you a quick skin boost and make you look fresh, rested glowy and fabulous. 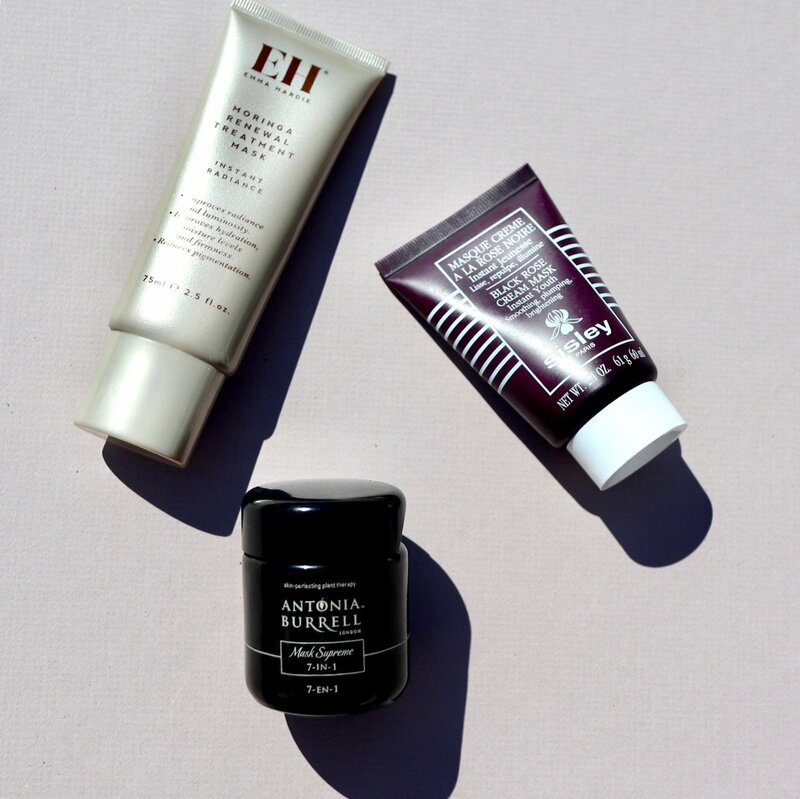 The fabulous Emma Hardie has just brought out a new mask called Moringa Renewal Treatment Mask and it promises to deliver just what we need when we have to be ready in quick time. It actually seems that Emma Hardie can do no wrong every new product that she brings out is on point, delivering everything that she promises… don’t you just love that? Like all of this brands products, this mask is easy to use. Gentle, but effective. It leaves your skin soft and radiant and the effects are long-lasting. You can apply it and leave it on overnight or during the day. I love this mask. period. full stop. Everything that Antonia said about this mask is true. The official claims are: “A sublime and powerful treatment in a pot with 7 noticeable actions, to hydrate, smooth, detoxify, repair, clarify, illuminate, protect and perfect your skin. The epitome of multi-tasking skincare based on science of plant formulae and botany”. It infuses my skin with moisture. Skin is left radiant and plumped. As well as looking better, my skin feels better. It’s truly a mini facial in a jar! Whenever life gets really hectic and fatigue kicks in, the signs can show in my skin making it look less than radiant, and a little dehydrated (probably due to the fact that at these times my water intake is less than optimal) It’s been like that recently and so I’ve been using this mask as a rescue treatment. For several days this week I’ve applied this luscious creamy mask after cleansing and instead of removing it after 10-15 minutes as the instructions say, I’ve just gently rubbed the excess into my skin… and it is heavenly. It leaves my skin soooo moist and radiant that I’ve often just applied my serum afterwards and nothing else and the effects last for a couple of days. What are your favourites? Let us know! 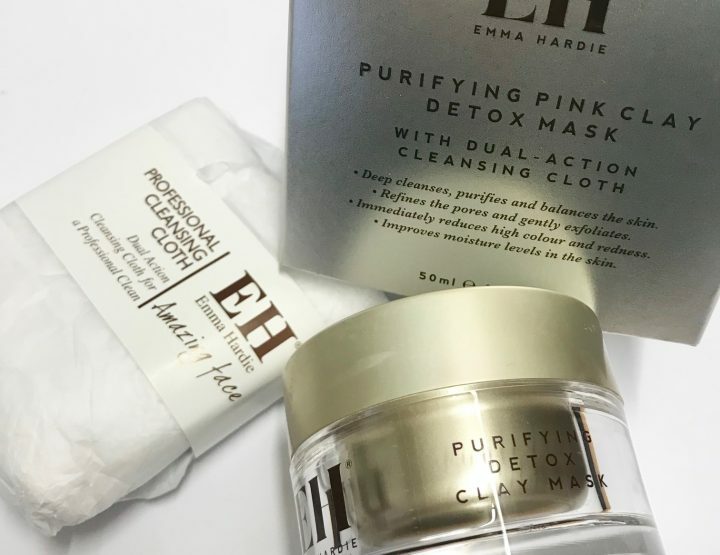 Deep Clean AND Moisturise with Emma Hardie's Clay Mask!